The vastness of San Francisco makes it a place where you will never run out of things to do. Everywhere you go you will see that diversity is evident in the area. Different cultures are welcome in San Francisco; thus, people from all corners of the world easily thrive and become part of the community. One well-known, solid community is Chinatown. It is estimated that at least 100 restaurants are in Chinatown. These are famous for delicacies that are rarely seen outside the community. They are famous not just for the taste of their cuisine, but also for the warmth of the people, the welcoming and calming ambiance, and the mouth-watering smell of the food. If you’ve eaten in a Chinese restaurant elsewhere, you will notice a discernible difference. Your next trip to a Chinese restaurant would never be the same again. If you are fond of architecture, the rich structural surroundings of Chinatown will amaze you. Here you can find the Sing Chong Building, rebuilt because it was destroyed during the 1906 earthquake, and Bank of America, adorned with 60 dragon medallions on its façade. These are just a few of the many interesting designs you will find in Chinatown. It’s easy to find stores and shops to visit in Chinatown. The community is made up of eight streets: Clay, Commercial, Grant, Jackson, Pine, Sacramento, Ross and Spofford. Do not forget to explore the alleys for herbal stores and interesting gift shops as well. 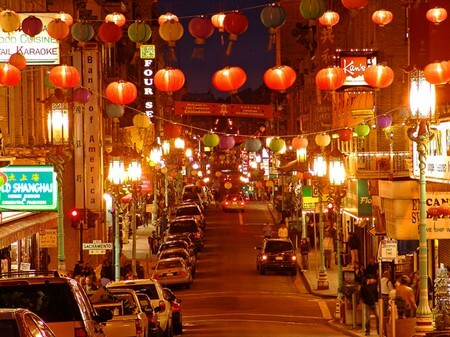 Tourists find it exciting to hunt for great buys in Chinatown, which is why it’s one of the top destinations in San Francisco. The heart of Chinatown where everything happens is Portsmouth Square. 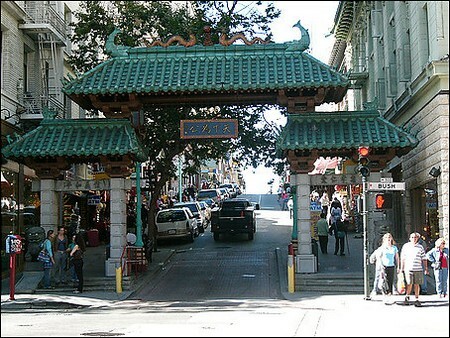 It marks the boundary of Chinatown, which has expanded over the years. To this day it is still the place where community gatherings and celebrations are held. As it is the center of everything, it is the busiest part of the town. Today there are newer versions of Chinatown sprouting up at different areas in San Francisco, but the old, original Chinatown still stands out. Tourists still prefer to visit the original Chinatown because of the rich history found within its walls. You will realize how much American history is depicted in Chinatown. This is also the reason the original Chinatown remains as the top pick of tourists. When you plan your trip to Chinatown, make sure that you allot plenty of time for it. You wouldn’t want to miss the opportunity to experience everything great that the place has to offer. You will never have the same experience and feelings again unless you come back a second time.